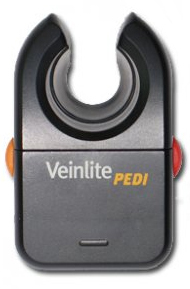 The newest Veinlite EMS PRO is the most practical vein finder for general vein access in adults and children. This new device is modeled after the Veinlite EMS, but includes a built-in white exam light mode that can be used in initial patient assessment. 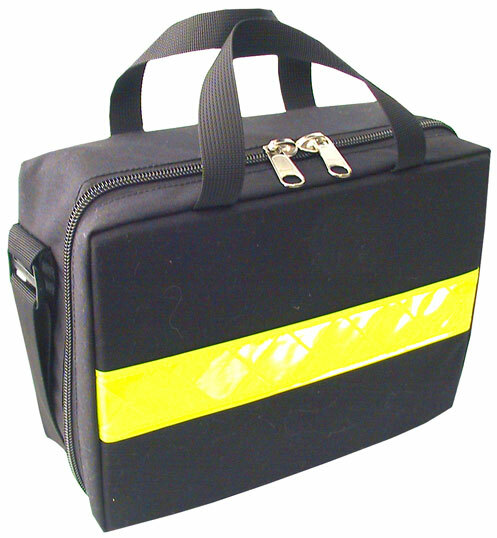 Powered by two AA batteries and with 24 colored LEDs operated by a single switch, the robust but easy-to-use EMS PRO model is ideal for mobile medical responders and is priced to equip the whole team. 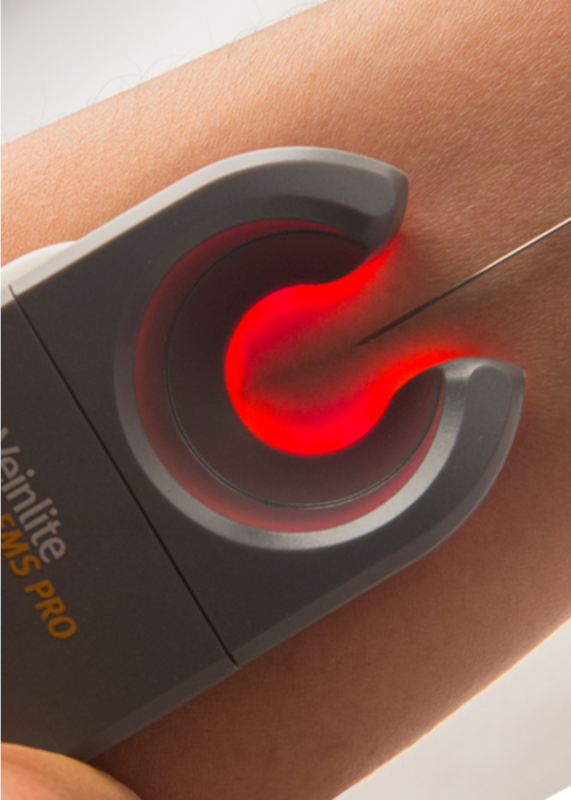 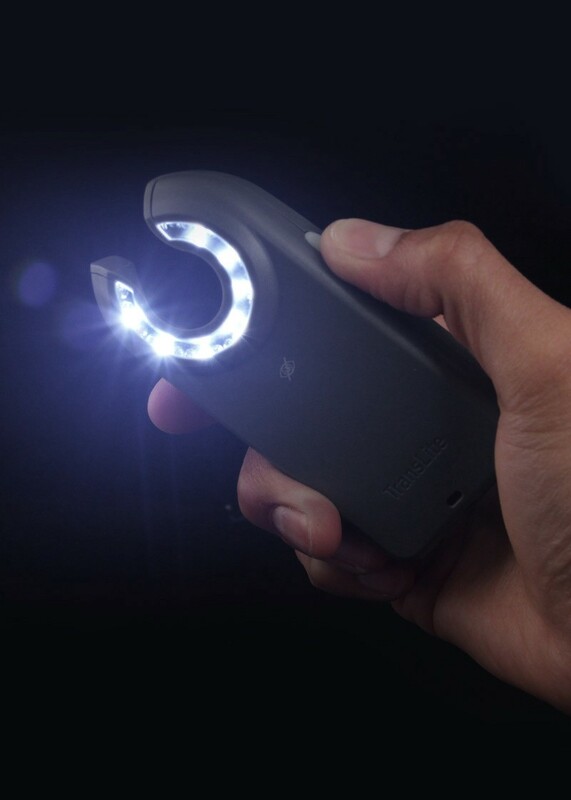 LED vein finder for efficient IV access in emergency medicine, featuring a built-in white exam light for working in low-light conditions. 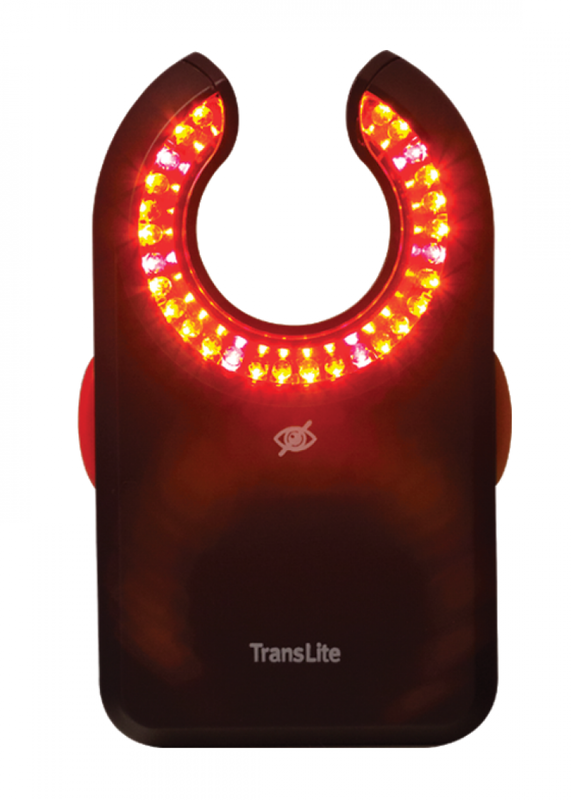 The Veinlite EMS PRO® uses 24 LEDs in 3 colors including the white exam light. 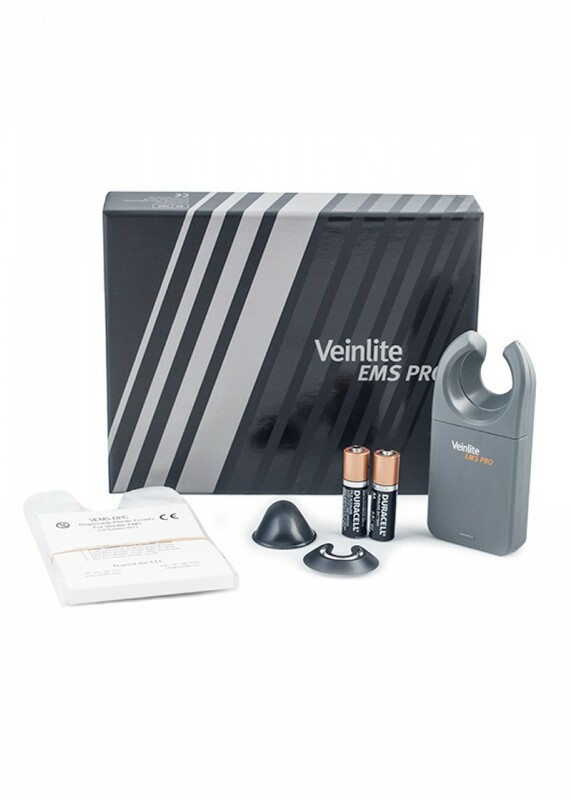 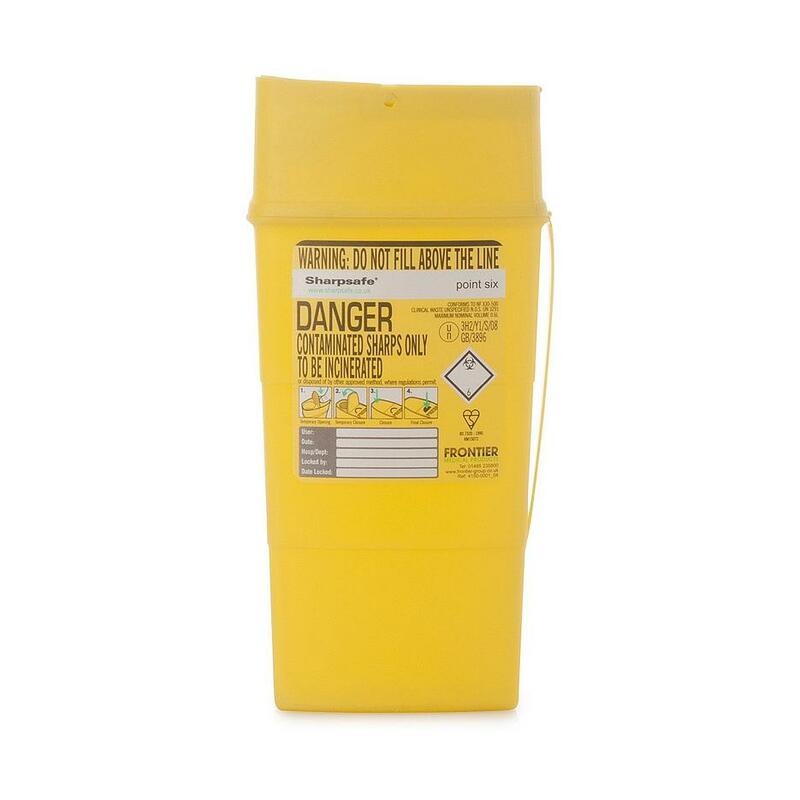 The kit includes 50 disposable plastic covers, light shield, pediatric adapter plus 2 AA batteries. 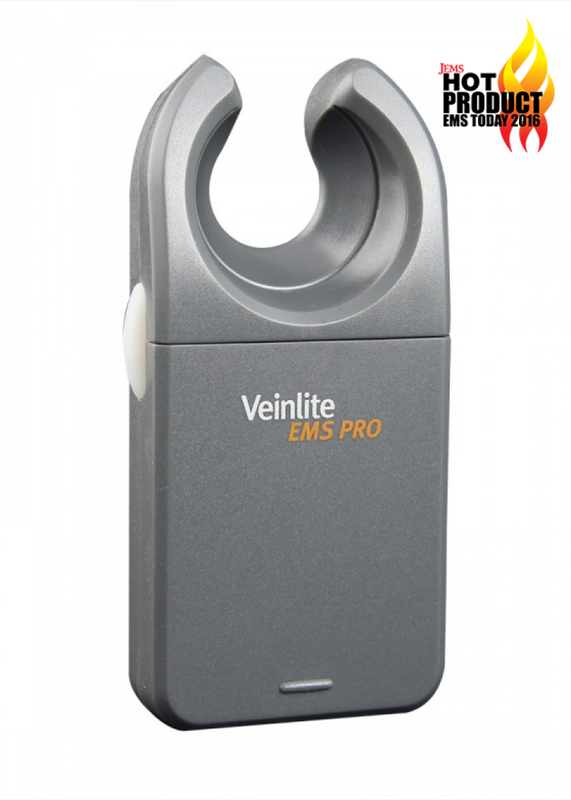 Comparison of VeinLite LEDX, VeinLite LED, VeinLite EMS Pro and VeinLite PEDI.